Cayman Islands & Costa Rica Signed FATCA Agreements! The U.S. Department of the Treasury announced that the United States has signed intergovernmental agreements (IGAs) with the Cayman Islands and Costa Rica during the week of November 25, 2013 to implement the Foreign Account Tax Compliance Act (FATCA). 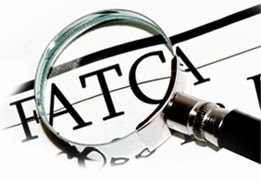 FATCA is rapidly becoming the global model for combating offshore tax evasion and promoting transparency. "Today's announcement marks a milestone in the effort to promote global tax transparency," said Deputy Assistant Secretary for International Tax Affairs Robert B. Stack. "These agreements underscore growing international cooperation in the effort to end tax evasion everywhere." 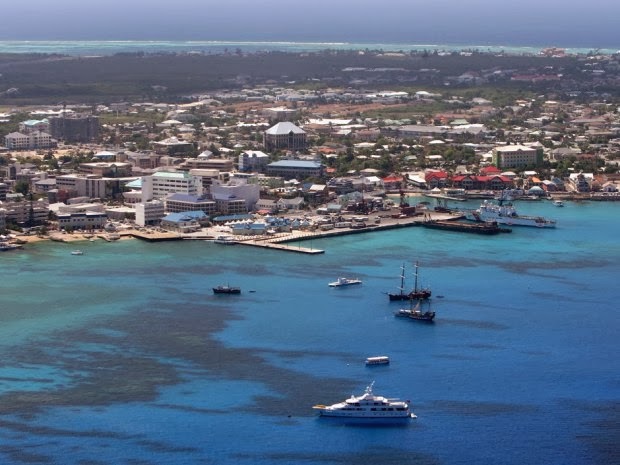 This agreement with the Cayman's is significant since the island nation of 53,000 people has no income tax and is one of the world's most popular destinations for investment funds to organize for tax purposes. Signed November 29, 2013, the Cayman Islands IGA is a Model 1B agreement, meaning that FFIs in the Cayman Islands will be required to report tax information about U.S. account holders directly to the Cayman Islands Tax Information Authority, which is the sole channel in the Cayman Islands for the provision of tax-related information to other governments. 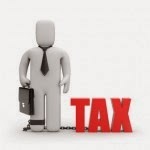 The Cayman Islands Tax Information Authority will in turn relay that information to the IRS. The agreement follows a similar pact signed by the Cayman Islands and the United Kingdom earlier in November, 2013. 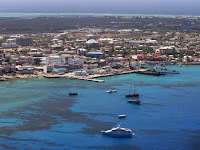 Additionally, the United States and the Cayman Islands also signed a new Tax Information Exchange Agreement (TIEA), to take the place of the original TIEA signed in 2001. 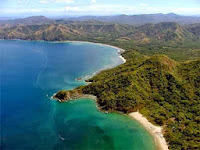 Costa Rica was one of three Central America countries the Organization for Economic Development and Co-operation (OECD) has tagged as a tax haven. Panama and Belize were the other two. The Costa Rica IGA was signed on Tuesday, November 26, and is a Model 1A agreement, meaning that the United States will also provide tax information to the Costa Rican government regarding Costa Rican individuals with accounts in the United States. "Today's signing marks a significant step forward in our efforts to work collaboratively to combat offshore tax evasion – an objective that mutually benefits both our countries," said Gonzalo R. Gallegos, Chargé d'Affaires of the U.S. Embassy in Costa Rica, who signed on behalf of the United States. 16 agreements in substance and is engaged in related conversations with many more jurisdictions. The United States and Panama are in talks on a tax evasion agreement. The United States does not have a full tax treaty with Panama, which has been listed in recent years by global authorities as a tax haven. But the United States and Panama did sign a tax-information exchange agreement in 2010. The United States is Panama's largest trading partner. The Panamanian government said on Sept 18, 2013, on its website that it is working on a draft proposal for a FATCA deal, which it hopes to finish as soon as possible. 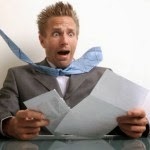 325% Penalty Where the IRS Discovers Your Offshore Account! Do You Still Feel Lucky? Revised IRS FBAR Penalty Appeals Procedures. The IRM is essentially the operational manual providing guidance and procedures for the various functions carried out by the IRS. Limited Jurisdiction for Post-Assessed FBAR Penalties. Limited Availability of Alternative Dispute Resolution Rights. Joint and Several FBAR Penalty Liability. 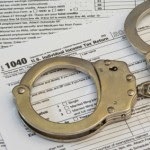 Interest Does Not Accrue Until the FBAR Penalty is Assessed. Expedited Closings of Unagreed FBAR Penalty Cases. FBAR Penalties are an Appeals Coordinated Issue. Significantly, the revised IRM added that IRS Counsel memo is needed for willful penalties over $10,000. The involvement of IRS Counsel in determining appropriate elements of willfulness could be significant. A non-willful civil penalty not to exceed $10,000, may be imposed on any person who violates or causes any violation of the FBAR filing and recordkeeping requirements of 31 U.S.C. § § 5314 and 5321(a)(5)(A). A civil penalty equivalent to the greater of $100,000 or 50% of the balance in the account at the time of the violation may be imposed on any person who “willfully” violates or causes any violation of any provision of 31 U.S.C. § § 5314 and 5321(a)(5)(A). The involvement of IRS Counsel in determining appropriate elements of willfulness with the associated IRS counsel memorandum being added to your taxpayers file , is actually nothing new as that is currently what is happening with taxpayers who come into the OVDP and then subsequently decide to roll out. We were advised by Senior Counsel in the SBSE Division of IRS Office of Chief Counsel and Senior Technical Adviser, LB&I Division’s Offshore Compliance Initiative Program; that taxpayers who elect to rollout of the OVDP may or may not obtain a better result from the subsequent audit and the subsequent appeal, since the IRS required an IRS Counsel memo supporting willfulness, for every taxpayer who rolled out of the program. Our opinion is that the IRS Counsel memo being added to the taxpayers file prior to having that file sent to Appeals; weighs heavily in favor of the IRS when the taxpayers case is considered by the "Independent Appeals Officer." What is really left for the appeals officer to do, in considering the hazards the litigation, when they have an IRS Counsel memo in the taxpayer's file providing both the legal and factual support for the conclusion that the taxpayer was willful in not filing their FBAR returns and they can prove it in litigation? From a Foreign Bank Account? Bahamas Agrees to Enter into FATCA Agreement With the US! In his contribution to the House of Assembly, on August 12, 2013, Minister of Financial Services Ryan Pinder said that the Bahamas Government has agreed that the country will achieve compliance under the United States Foreign Accounts Tax Compliance Act (FATCA) by negotiating and entering into a Model 1 Intergovernmental Agreement (IGA) with the United States Department of the Treasury. “Financial institutions that do not comply with the FATCA requirements face a 30 per cent withholding tax on all of their US payments and will be deemed a “non-Participating Foreign Financial Institution,” he said. “FATCA has far-reaching implications on financial institutions throughout the world and will require significant expense and training for financial institutions throughout the world,” Minister Pinder added. The Ministry of Financial Services, he said, initiated its education and private sector consultation work programme on FATCA in September 2012. In January 2013, the Ministry launched its FATCA strategy document that provided a road map to achieving FATCA compliance. Minister Pinder pointed out that on March 1, 2013, he led a delegation to Washington, D.C., to meet with US Treasury Department and Internal Revenue Service (IRS) officials to commence discussions on FATCA. Minister Pinder stated that on April 9, 2013, the US Treasury updated its FATCA exemption Annexes (Annex II) of both Model IGA agreements to include an exemption for “trustee sponsored trusts” such that a trust with a professional trustee, would be exempt from the registration and FFI agreement requirements, where the due diligence and reporting (where there are US interests) are carried out by the professional trustee which is an FFI under FATCA. “The significance of this amendment for The Bahamas trust industry cannot be overstated,” Minister Pinder noted. Minister Pinder added that, while Model 1 requires that a reporting infrastructure be developed within the Competent Authority, such an infrastructure might be necessary in the long run given international developments in tax cooperation. These agreements pierce the veil of confidentiality with the aim of facilitating tax compliance with a foreign tax authority, he pointed out. Do You Have Unreported Bahamian Bank Income? U.S. taxpayers with unreported foreign bank accounts may not get warning that DOJ has knowledge of their account! The Justice Department's Tax Division has a lot of informationthat is not public regarding foreign bank accounts and is communicating with banks in countries that don't have a treaty relationships with the U.S., according to Assistant Attorney General Kathryn Keneally, who on November 6, 2013 spoke at the American Institute of CPAs Fall Tax Division Meeting. 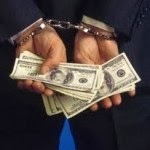 The DOJ has been aggressively cracking down on U.S. individuals holding money in secret offshore bank accounts (See our post "UBS Criminal Casualties, so Far and More Guilty Pleas Over Offshore Accounts in the Works! ") and has had some success in getting assistance from banks operating in tax haven countries. There has been a big improvement in the ability of the U.S. to find secret accounts, according to Kenneally. with Unreported Foreign Bank Income?